Rentable electric scooters have popped up in cities across North America, and the new form of transportation is becoming a popular alternative to driving or taking public transit in Oakland. A few companies have dominated most cities, such as Bird, Lime, and Skip. 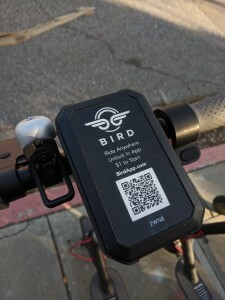 In Oakland, Bird and Lime have brought over 300 scooters to the downtown and Lake Merritt area. The dockless “scooter-shares” provide an inexpensive option for getting around the city at a price of one dollar to start and a rate of 15 cents per minute. Many residents and city officials have an optimistic approach to the scooters, and see them viable means to cutting down on foot and car traffic. Director of Oakland’s Department of Transportation Ryan Russo has high hopes for the scooters. “In other cities they’re considered more of a nuisance, but we can see long-term how smaller electric mobility could solve a lot of problems,” said Ryan Russo, as reported by the San Francisco Chronicle. Hannah Horten, president of the EarthCORPS club on campus, believes that while the scooters have their faults, they are a good form of transportation. The scooter companies pay people to take the scooters home to charge them overnight and then drop them off in designated areas the next morning. Horten thinks there could be an environmentally friendlier option. “I also think environmentally it seems like making them solar powered would have been a good move,” Horten said. Although the scooters are affordable and easy to ride, Horten believes that they are not a perfect mode of transportation in Oakland. According to the East Bay Times, council member Rebecca Kaplan proposed an ordinance that would put more than half of the scooters in Oakland in neighborhoods that need accessible transportation most. 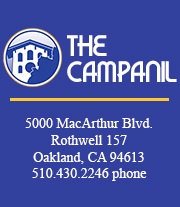 “Both lower-income neighborhoods and neighborhoods that have a higher ratio of African-Americans and Latinos have historically been underserved in a whole range of areas,” Kaplan said, as reported by the East Bay Times. For many Mills students, getting off campus can be difficult without a car. Sustainability Coordinator Joanna Wong and EarthCORPS have been discussing the possibility of getting a few electric scooters on campus for Mills students to use. Mills would have about five scooters on campus for students to take and ride anywhere they liked, but the difficult part would be getting the scooters back to campus. When someone gets off of a “scooter-share,” someone else can pick it up and then ride the scooter anywhere from there.